As I mentioned in my post about 2014 resolutions, I'm trying to make a concerted effort to organize and de-clutter my life. I also noted that I wanted to get back into being creative and begin making art again. So, in an effort to kill two birds with one stone I went ahead and did a purge-and-organize of my art supplies. 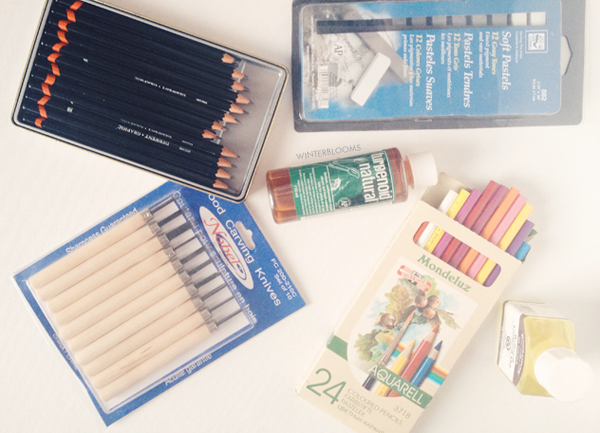 I haven't touched my art supplies in a good three or four years (yikes!) so I wasn't sure exactly what I would find. It turns out that it went quicker than expected, and nothing too surprising popped out at me. First of all, I keep the majority of my supplies in one of those rolling plastic drawer sets that you can get on the cheap at a big-box store. 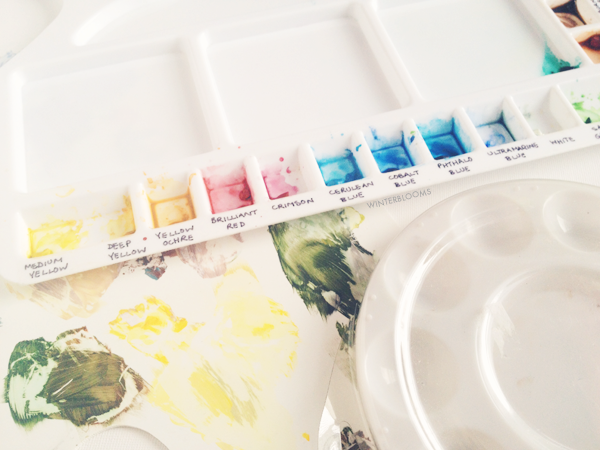 It makes for easy sorting and for keeping potentially-icky things like cheap acrylic paint away from pretty things like expensive watercolour brushes. So what exactly did I find in there? In a word: stuff. Lots and lots of stuff. Some gently used stuff and some that I haven't even opened the package on (I'm talking about you, carving tools). 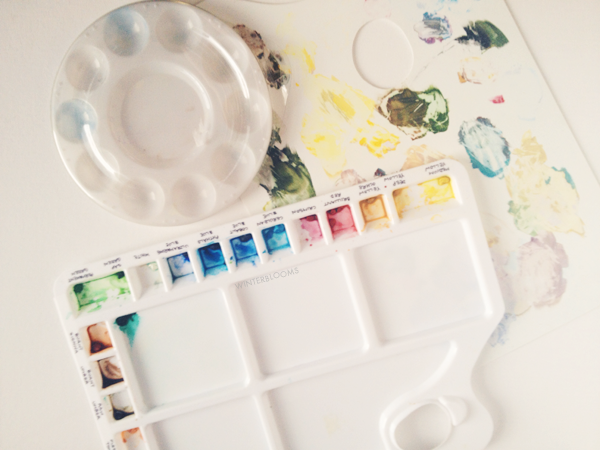 One of these days (soon) I hope to sit down and really play with some of these tools -- especially the pastels and watercolour pencils, which I'm sure are quite fun. Using the carving tools may be a little further in the future, but it'd certainly be cool to create some stamp designs for something. I also found a truly crazy amount of paint stored away. Oil paint that I've never touched (maybe in the summer when I can open a window and get some good ventilation? 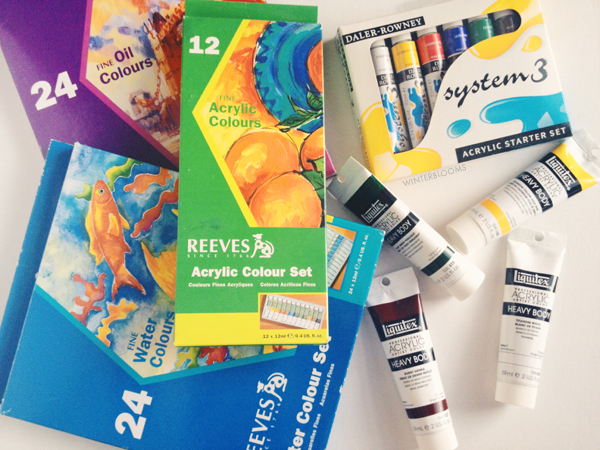 ), watercolour, and a massive amount of acrylics. I also found several pads of good paper, sketch pads, and even a few blank canvases. Hmm, I feel a painting project coming on. I think that I have a pretty good organization system for my art supplies in place already - my main issues was actually going through it all for the first time in ages. So I re-filed my supplies like usual - separating the paint and trays from the brushes and smaller tools, and keeping brushes away from messy things like charcoal and pastels. So I ask you, how do you keep your supplies organized? 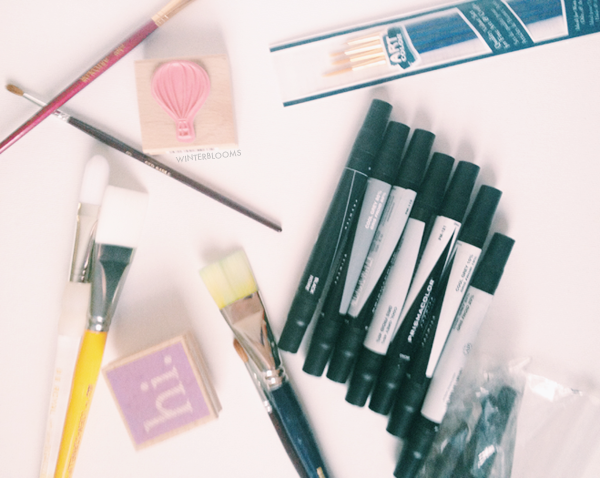 Is there a method to your madness or are you more of a stash-and-dash keeper of art supplies?